Kokusai Autopatrs : Buying and selling used tires, aluminum wheels, automotive parts. Hello! My name is HIDEKI IWAMOTO. 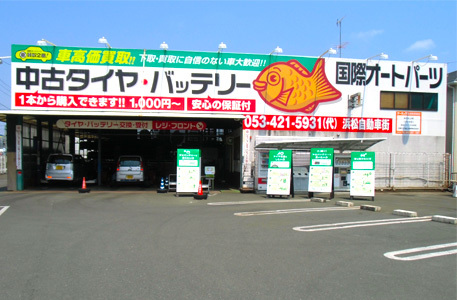 Kokusai Autoparts is headquartered in Hamamatsu City, Shizuoka Prefecture, Japan. We sell all kind of automotive parts including tires, and wheel, etc. As all-round specialist shops where you can find all kinds of recycled used parts we can meet a wide range of needs. Copyright © 2009 Kokusai Autoparts Co.,Ltd. All rights reserved.